Featured Picture: Comanche XR9 is showing her colors! The Comanche XR9 is showing part of her color scheme! 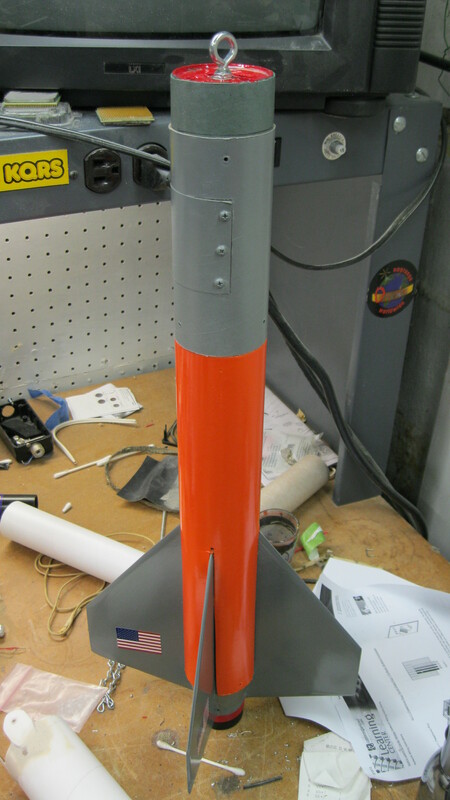 The booster section is nearing completion, and has received it’s first coatings of paint….also is sporting the American flag on the fins! Comanche XR9 booster sporting its first colors! 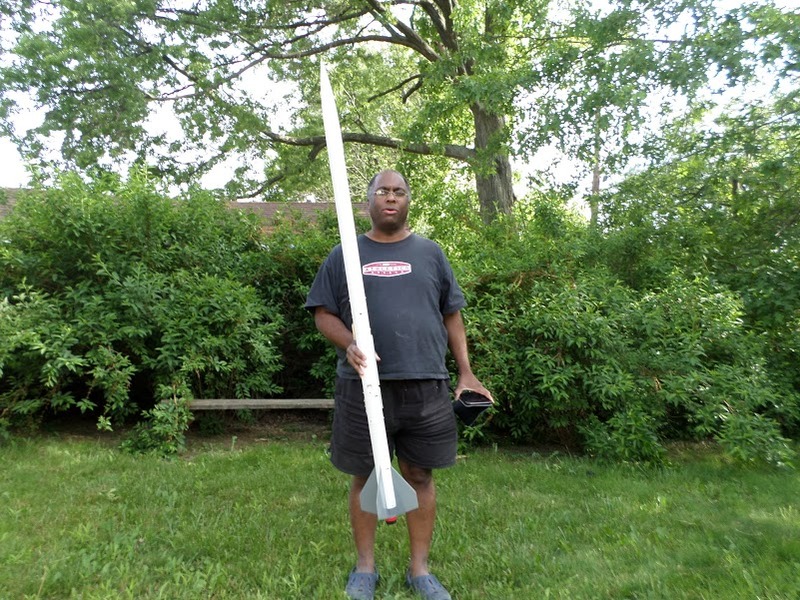 Fresh from the workshop, Here I am holding the Comanche XR-9C rocket. 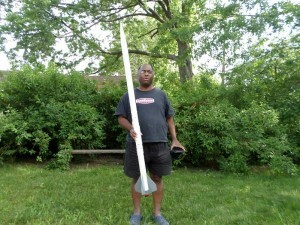 All the hardware is in place, it is now a complete rocket. For the next couple of months, some more internal detail work left to go as well as the painting of the rocket left to go. Maiden launch is set for October 2013. 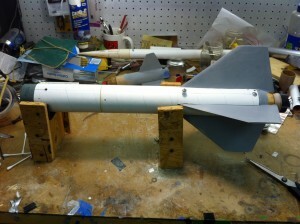 Comanche joins Nesaru XR-6 as a member of my Level 1 high power rocket fleet! Here is the design concept. Looks like the one!